Level control relay for hole, with indication of “High Level”, “Lack of Water”, “Pump in Service” and “Thermal Shooting”. 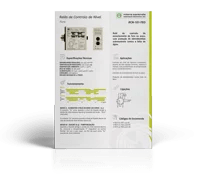 The indications and how the level control relay for bore reacts (weapon and disarms), also allows protection of submersible electromagnets against lack of water. 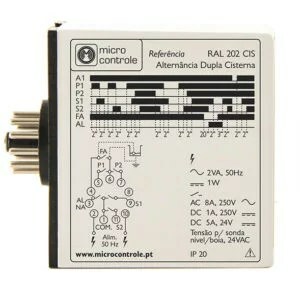 In addition, being a modular DIN-rail relay simplifies its installation. Advantage over 11-pin relays that require their docking station. 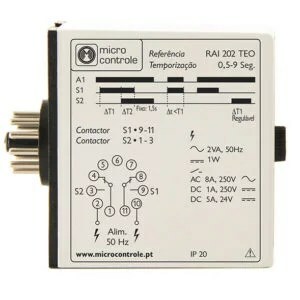 Not only can it be used in standard electric switchboxes, it can also be used in modular boxes. minimum level indication and protection. Indication and protection of submersible electric pumps against lack of water. After closing the contact pair (C-B), the “B.S.” (Service pump). After closing the contact pair (C – DT) the LED “D.T.” (Thermal Shooting). Download here the Technical File of this product.